The former footballer commented his son on his live Instagram post. 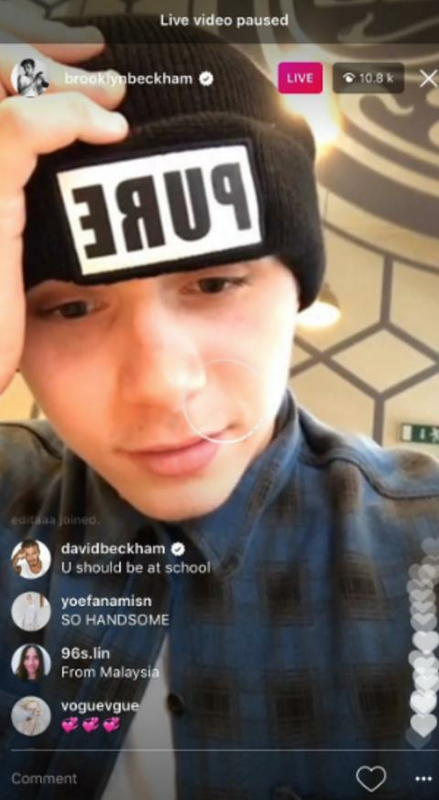 David Beckham is on social media just as much as his kids, so when son Brooklyn posted a live video on Instagram, he couldn't help but use the opportunity to embarrass him in front of his millions of followers. As reported by Lad Bible, the 17-year-old was busy showing off in front of the camera, so the former footballer decided to pull a classic Dad move and write in the comments section: "U should be at school." Becks also made sure all his followers knew just where he got his fashion sense from, by telling everyone his son stole his shirt. It's not the first time the UNICEF Goodwill Ambassador has utterly mugged off his eldest son, who he shares with Victoria Beckham. 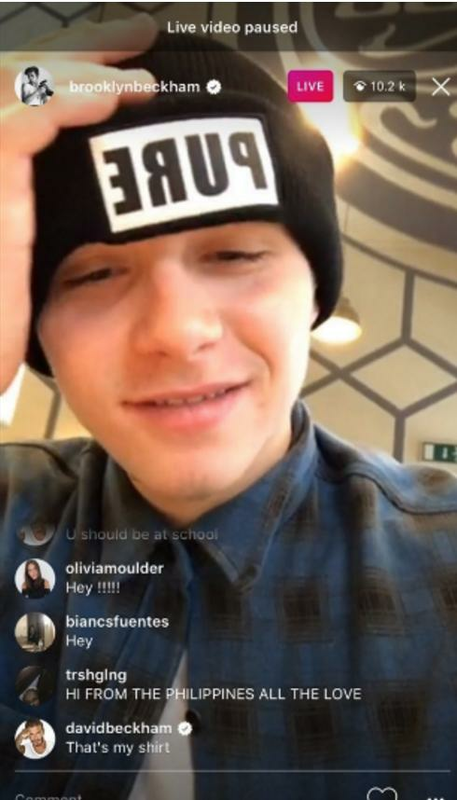 When Brooklyn took to Instagram to celebrate reaching 1million followers by posting a video back in 2015, his Dad butted in, saying: "I've got 52". The teenager is slowly catching up though, boasting 9.1 million followers to date. Not bad for a 17-year-old who should be in school, eh?